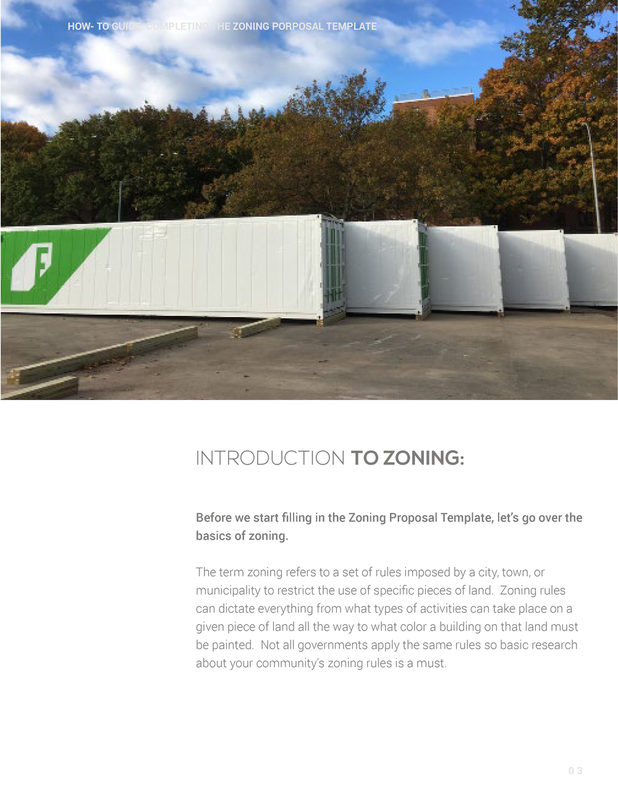 This guide is designed to help you fill out the Zoning Proposal Template provided by Freight Farms and give some general information about zoning best practices from current freight farmers. Zoning rules and regulations are different for every city, town, and municipality in the country so not all of the information or examples in this guide may be relevant for you. Not to worry, even if the rules you uncover in your zoning investigation don’t align with the examples or information presented here, the language used to describe an LGM and the general format for presenting your project should still be useful.